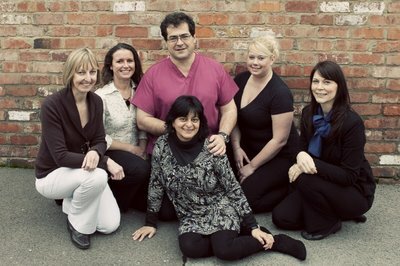 Welcome to The Stafford Dental Practice website. Something that we are very keen to stress is that patients of the practice are treated with empathy and care and the team are dedicated to making your visit as comfortable and stress free as possible. Dentists are people too; we will always do our utmost to avoid any stand-offishness and treat you as we would wish to be treated. 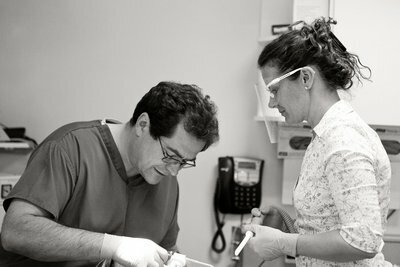 We also strive to use the latest technologies in order to be able to offer the most conservative and durable treatments. Jason was born and grew up in Lapley, very near to Stafford. His undergraduate training was at The Royal London Hospital, Whitechapel; completed in 1987 . In many ways a fantastic grounding for the future. 2014 is his 27th year in practice. His first job was as an associate in Boston, Lincolnshire where he was fortunate to work in a practice that allowed him to learn his trade. Paul Meyer still provides all of the denture work for this practice, opened in 1991. Following much work, the move was complete and all of the effort has been worth it with a state of the art general practice. The atmosphere is both fun and professional with much laughter; the key being constant development and improvement in what can be offered. Writing, presenting and training within dentistry seem to be the way his career is progressing in the small amount of time that is not devoted to clinical work. Jason is now a trainer for Birmingham Dental Seminars, helping dentists and the dental team to keep their training up to date and includes Cerec dentistry. He is also Key Opinion Leader for Premier Dental Products a US company making products and materials for the dental trade as well as being a product ambassador for Philips Oral healthcare. The goal has always been to exceed today's standards and to enjoy dentistry. After having a range of treatments with Jason, I can honestly say he is the most caring and skillful dentist I have ever had. He, and all of his team, are very friendly and reassuring whilst being very professional. I would recommend that anyone who is searching for a dentist to give them a call. I think it's fair to say that 99.9% of people don't enjoy the experience of going to the denist (there are some weird fetishes out there) however, staff at the Stafford Dental Practice have made this necessary evil far more tolerable. This is down to their friendly and very personal approach. I feel safe and in very capable hands when sat in the chair with Jason. Hats off to you, 1st class service! Quite simply, you won't find a better dentist! If you have a particular issue visiting the dentist - mine is the anesthetic - then Jason is prepared to listen, work with you to overcome the problem and give you the reassurance you need. This is so tremendously important. So you need not worry that you'll be just "another patient" in the chair. 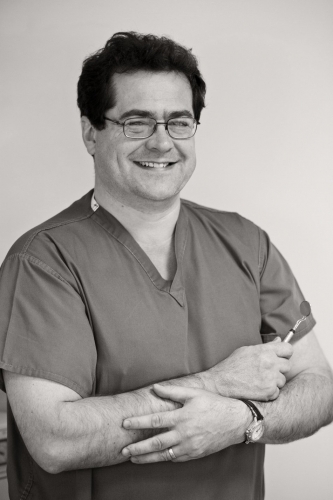 Jason is a caring dentist with the support of a great team and treats his patients as individuals; your treatment is tailored to you personally. 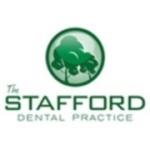 This is why I feel so tremendously lucky to have discovered the Stafford Dental Practice and have no hesitation in giving my highest recommendation. I had been undergoing treatment on a tooth for 18 months. Costs were mounting up but I was not happy with the prognosis. I had no idea where to go for a second opinion so I googled dental practices in Stafford. 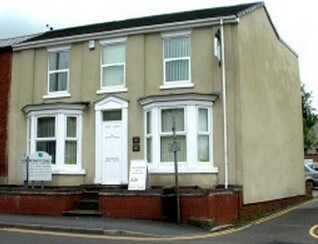 The Stafford Dental Practice came up and I was very impressed with the web site, its contents and its transparency. I felt that I understood what the practice was all about and it gave me confidence to try it. First impressions were very good and the team made me feel at ease very quickly. I was very apprehensive as my previous dentist was a friend and I really had to believe in this practice to make the move. Jason and Bev were brilliant. My problem was quickly diagnosed with a solution offered instantly. Three days later I was booked in to have the tooth finally fixed. Over those days before the treatment, I was apprehensive because I couldn't believe that the tooth could be repaired as described because my previous dentist had struggled so much with it. On the day, I was over 2 hours in 'the chair'. Bev was fabulous giving me an account of what was happening and Jason performed a little miracle! I was impressed with their teamwork and I have been over the moon with the result. Thank you for giving me a smile in so many ways! On Saturday 21st August 2012 my son has had an accident on his BMX bike and damaged his two front teeth. I was obviousley very worried and concerned about him and also the state of his injured mouth and damaged teeth. I am already a patient of Jason and can't praise his dentistry skills enough but following a frantic out of hours call to him he has turned out at a Weekend and I am very grateful and impressed that he was able to rebuild the teeth the same afternoon. I am now looking to start the junior dental plan so that Jason can monitor the situation and continue to look after my child's dental care. Thankyou. It was a Saturday afternoon (21/07/12) at around 2pm and I was out riding my Bmx bike with a mate when unfortunately I have fallen off and smashed my two front teeth. My parents were frantic and quite upset but thanks to the quick actions and professionalism of Jason he was able to work his magic and thankfully this time he was able to rebuild them for me, that afternoon. Thank you. Having not been to a Dentist for 5 years because of fear, it was no surprise to learn after my initial checkup that I needed 6 Fillings. Jason and Bev use a blend of Humour and Professionalism to help you overcome any anxiety to you may have. The whole team at the Practise are very Professional and are focused on making you feel comfortable. I highly recommend them, especially if you are, like me a nervous patient. I was given an emergency appointment within an hour and a half of my initial call, despite not being registered with the practice. I received fantastic treatment from Jason and Bev. The work on the infected tooth and a course of antibiotics quickly sorted a problem a local NHS dentist had been treating for months. I was pain free within hours. On the second visit the problems were dealt with more permenantly. Again this was excellent. Working as an efficient and entertaining team Jason and Bev inspired confidence.